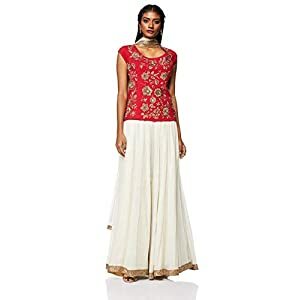 FABRIC SPECIFICATION: The blouse is made of crepe and the lehenga is made of banarsi silk and the attached palla is made of lycra with taffeta lining and cancan. 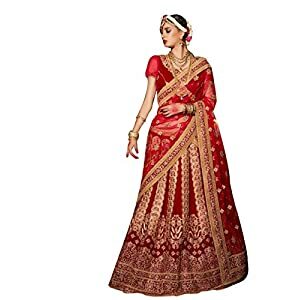 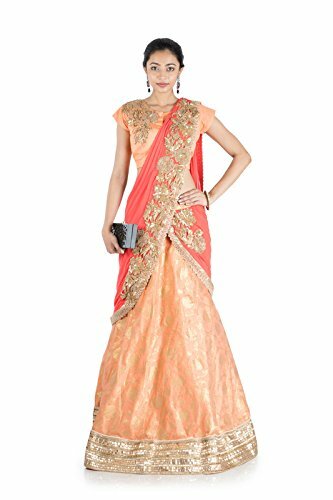 That includes a Pastel Orange & Tomato Red Lehenga Saree With Connected Pallu.The piece is beautified with heavy golden embroidery the use of dabka,sequins and thread work.Full duration of the lehenga saree is 60″.This piece is composed of a lehenga saree with attach pallu. 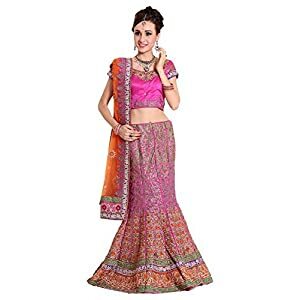 FABRIC SPECIFICATION: The blouse is product of crepe and the lehenga is product of banarsi silk and the Connected palla is product of lycra with taffeta lining and cancan.